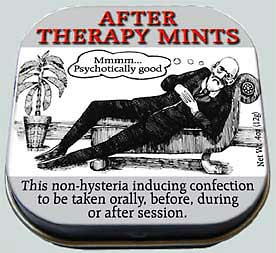 This non-hysteria inducing confection to be taken orally, before, during or after session. Super strong perppermint flavored mints provide a wallop of minty freshness, without sugar or aspertame. Net weight 4 oz.